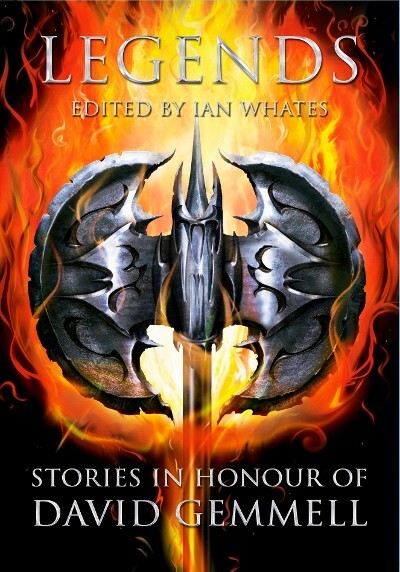 Legends is an anthology of all original stories written to honour the memory of one of Britain’s greatest fantasy authors. Determined warriors, hideous creatures, wicked sorceries, tricksy villains and cunning lovers abound as fantasy’s finest imaginations do their best… and their worst. James Barclay reveals the origins of The Raven, Adrian Tchaikovsky unveils new aspects of the realm of the Apt, Tanith Lee, Joe Abercrombie, Storm Constantine, Stan Nicholls, Juliet E McKenna and more weave their magic as only they can. Produced in cooperation with the David Gemmell Awards, Legends acts as a fund-raiser for the awards.